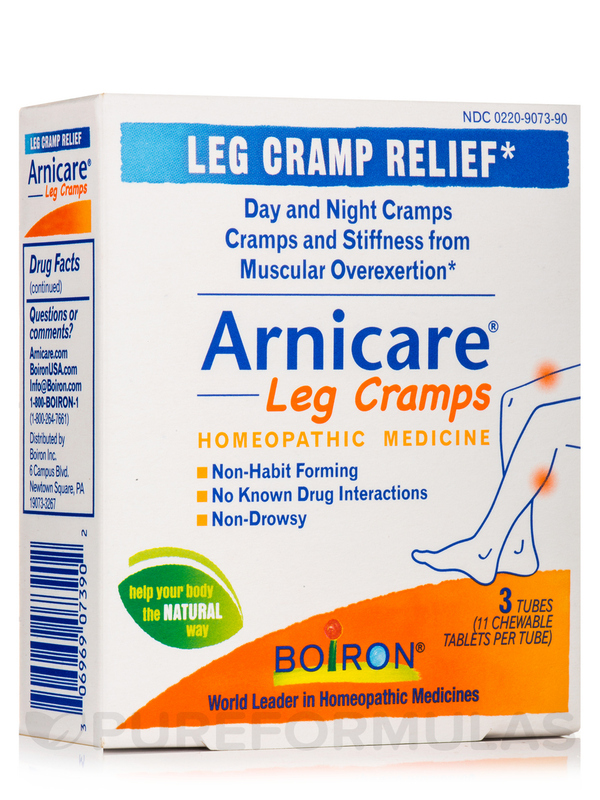 I travel a lot for work and I recently started experiencing cramping after driving . 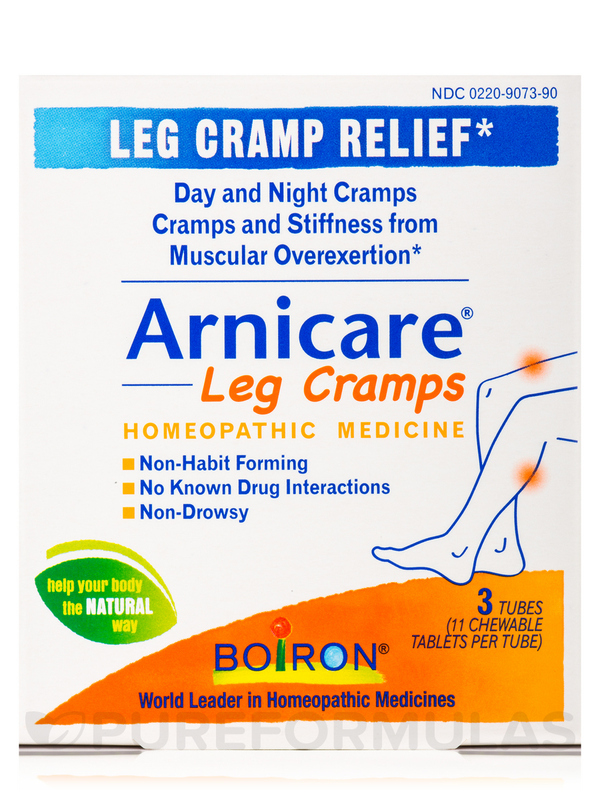 I like other products from Boiron and decided to give Arnicare Leg Cramps a try. It really worked! I like that it dissolves without water. Convenient for travelers. 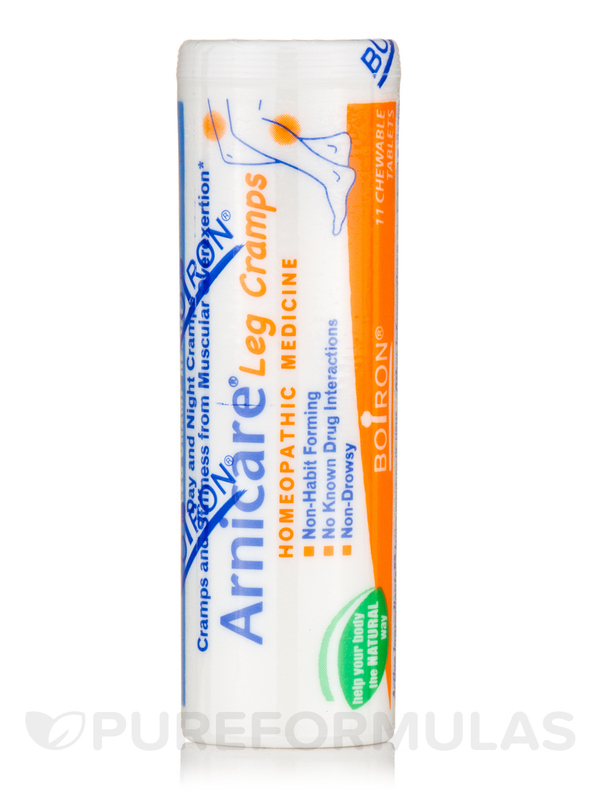 Temporarily relieves day and night cramps and spasms in calves‚ legs‚ thighs‚ and arms and cramps from muscular overexertion. 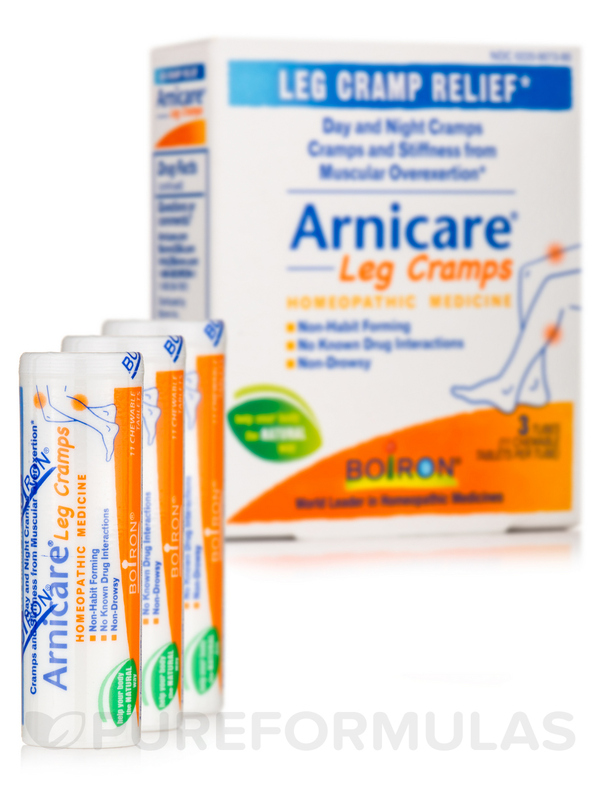 Arnica montana 9C HPUS / Relieves muscle fatigue causing or caused by cramps. 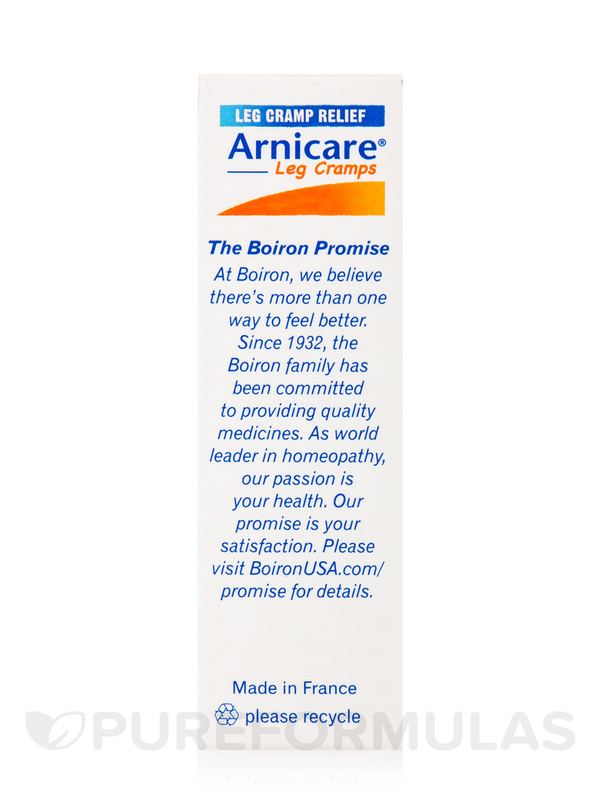 Sarcolacticum acidum 3C HPUS / Relieves pain and stiffness from muscular overexertion. 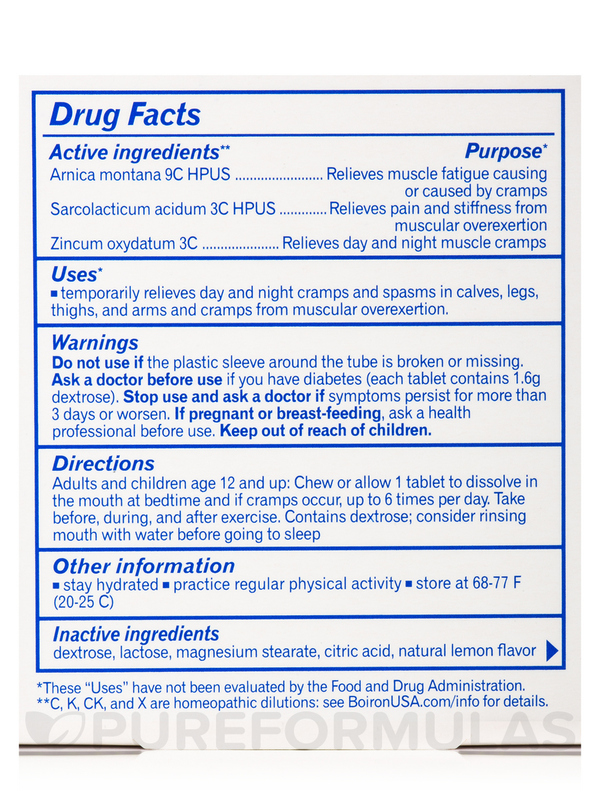 Zincum oxydatum 3C / Relieves day and night muscle cramps. 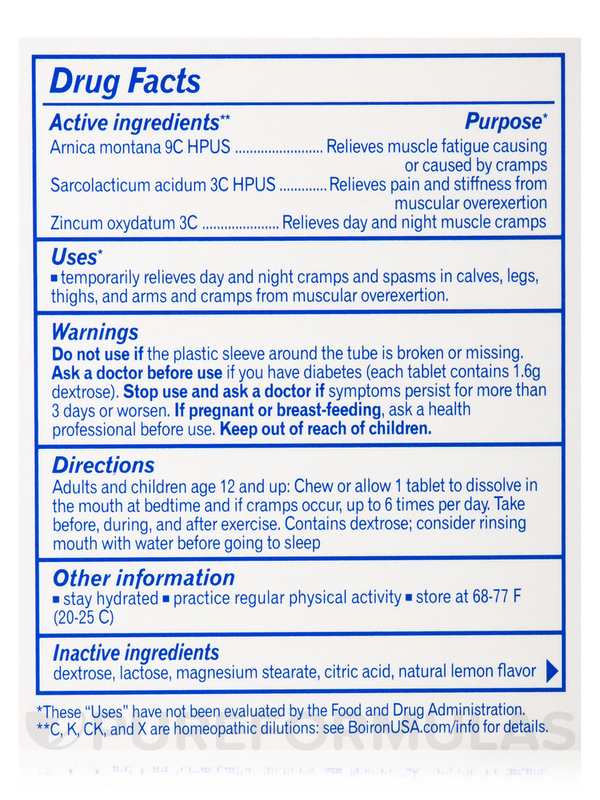 Inactive Ingredients: Dextrose‚ lactose‚ magnesium stearate‚ citric acid‚ natural lemon flavor. **C‚ K‚ CK‚ and X are homeopathic dilutions. 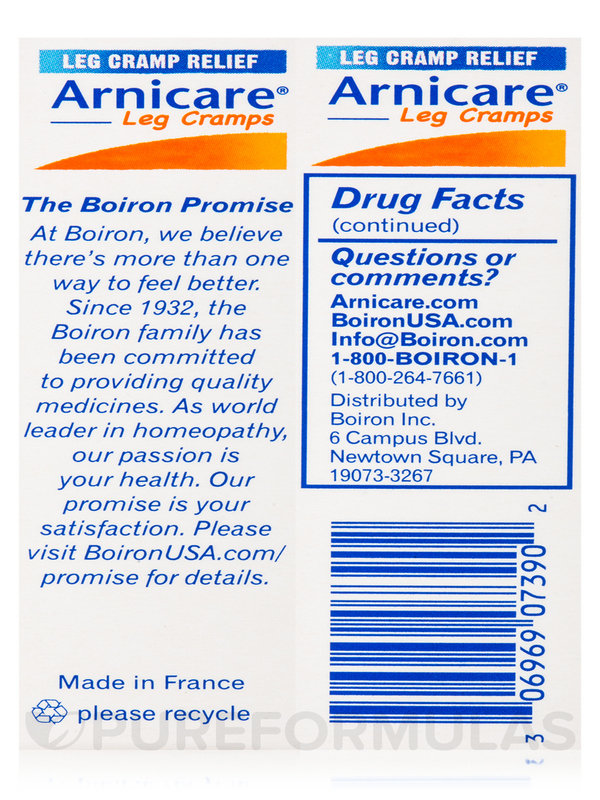 Adults and children age 12 and up: Chew or allow 1 tablet to dissolve in the mouth at bedtime and if cramps occur‚ up to 6 times per day. Take before‚ during‚ and after exercise. Notice: Contains dextrose; consider rinsing mouth with water before going to sleep. 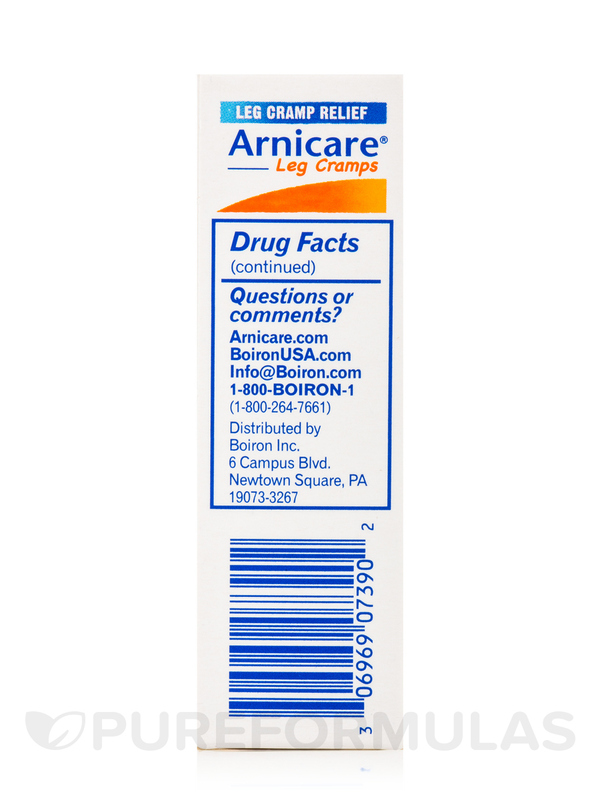 Do not use if the plastic sleeve around the tube is broken or missing. Ask a doctor before use if you have diabetes (each tablet contains 1.6g dextrose). If pregnant or breastfeeding‚ ask a health professional before use. Store at 68-77 F (20-25 C).